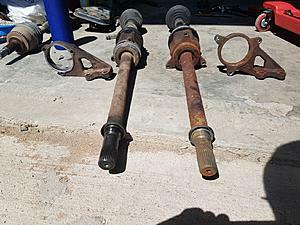 I need a new passenger axle for my 02 6spd. It appears I don't have too many options available to me, almost all the stores I went to didn't have the ability to get one, the others are a 3-5 days wait but I need the car for a trip this weekend. 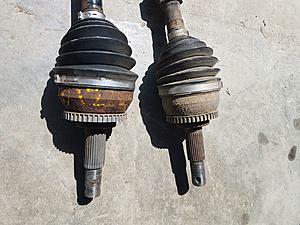 So I'm wondering if I would be able to use the passenger axle of an 04-06 6spd maxima on my 02. I haven't called any stores yet but since it's newer there may be some available for me to get today, instead of having to wait. If anyone has any insight on this, that would be great. I don't think so, it might work at the transmission side, but I think there will be a different bracket because it is on a different chassis, and the front hub side will be wrong due to different hub and different bearing. 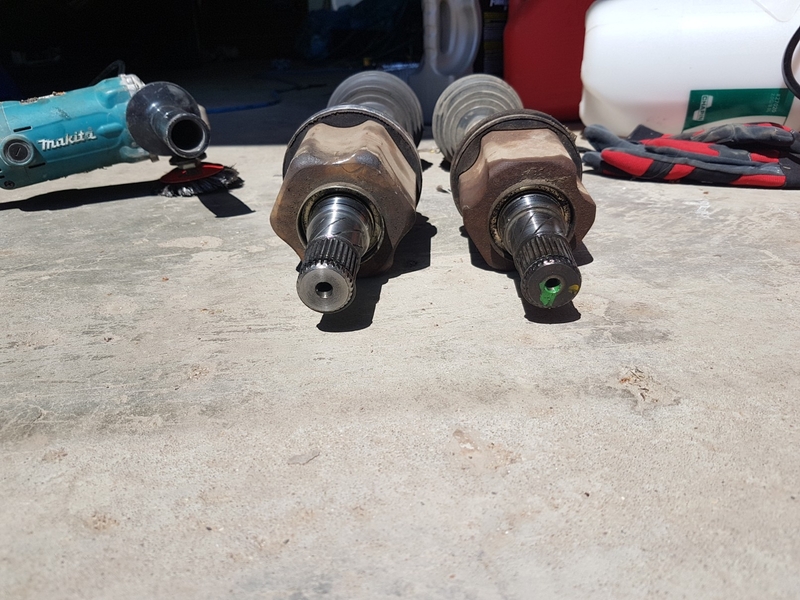 Any luck with 6th gen axles??? i thought you could run the automatic 6th gen axle as long as you also ran the carrier bearing bracket from the 6th gen. I’d look around for more info before trying it. Unless you have stuff laying around. 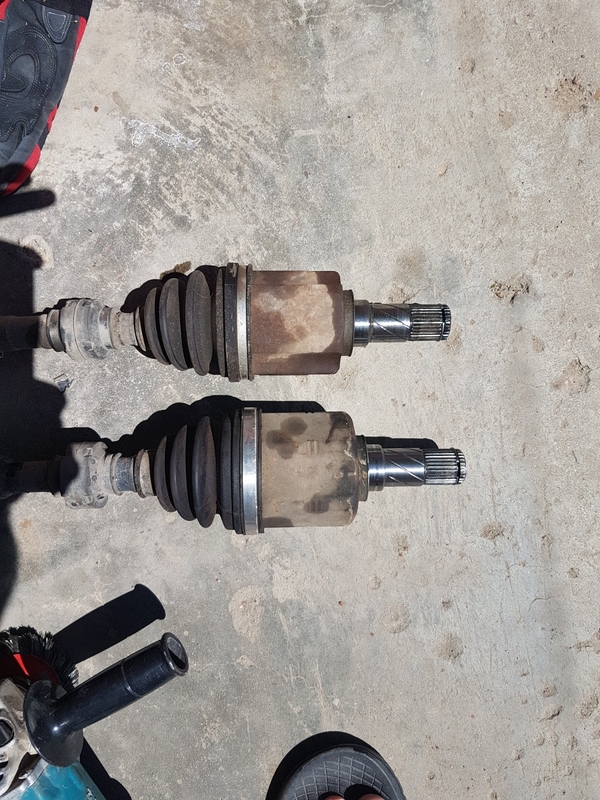 makes me think it's possible 07-13 altima axles might work. If i find one in a junk yard i'll give it a try. Doesn't seem like nissan changes that much. You installed them in the future? What are the benefits of 6th gen axles? 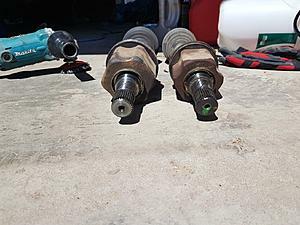 Axles for the 6-MT cars are very hard to find. The cars were rare to begin with and are getting more rare every year. Most aftermarket options are rebuilt and the suppliers simply don't have the cores. Ni$$an wants crazy money for one if they can even get it. I'm not sure how much easier the 6th gen axles are to find but it definitely opens up possibilities. The carrier bearing is easy to swap. 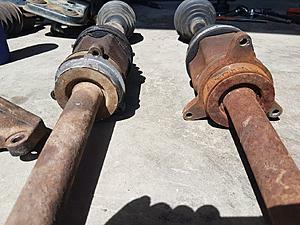 The 6th gen axles are beefed up a bit more than the 5th gen axles. Disregard, just noticed the gear on the outer joint. Isn't that for ABS or something? Yeah, the gear is for the ABS sensor. I'm guessing the 7th gen has it all built into the hub. Quick Reply: Will a 6th gen axle work on my 5.5 gen?